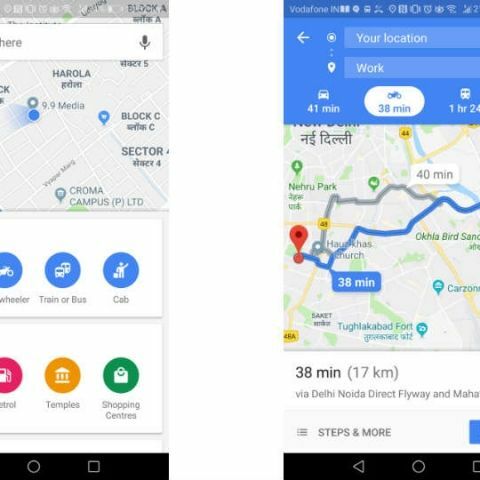 Google Maps now has a "Motorcycle Mode" in India with quicker navigation time and parking status at the destination. India is the world’s largest two-wheeler market with over 48,000 motorcycles sold everyday. Google has taken note of that and users across the country are reporting a “Motorcycle Mode” in Google Maps popping up for them. The option is showing up alongside car, public transit and walking options. The goal, like any other transport option in Google Maps, is to find the best and the fastest route possible. The “Motorcycle Mode” allegedly takes into account the small area needed for bikes to fit in the road, so the travel times are quicker than that of cars. The mode also informs you of road closures and parking status at the destination. So far, the feature seems to be live only in India. Per an Android Authority report, the feature was a long time coming as a teardown of older versions of Google Maps had contained elements of a sort of two-wheeler mode. This seems to be exactly that. The update is being rolled out in phases, so it’s best to update the Maps app to the latest version to get the feature.